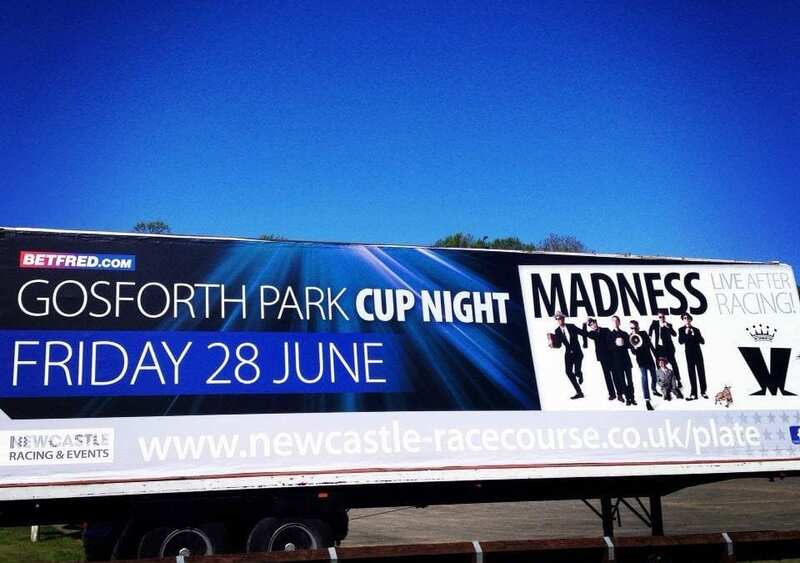 Utilising Gorilla Media’s 96-Sheet Ad Trailer regular clients Newcastle Racecourse are currently promoting the upcoming Madness concert to be held on their grounds. On 28th June Madness will be taking to the stage following the days racing at the Northumberland Plate Festival. The team at Newcastle Racecourse are thrilled to host the Ska legends and requested Gorilla Media bring out the big guns to give maximum exposure in the lead up to the event. Almost twice the size of a standard billboard the Ad Trailer can be positioned as a static site or maneuvered through a specific route-plan during an 8-hour day.